WWE Main Event And NXT Review: The Champ Is Here, But Does Anybody Care? Back in the day, the idea of championships and the prestige behind them proved that you made it. These days, as much as it pains me to say this just feels like a rubberstamp that is used to get more excitement into a match. Those iconic championships that we all grew up on just seem be clothing accessories not prestigious and worthwhile titles, with very few exceptions. Vince Russo said to much controversy in the early 2000 s titles were props and it seems like in WWE’s case that may be true. This definitely was illustrated by this week’s Wednesday two pack of the Main Event and NXT. It showed that there is a different title mentality in the wrestling business today. But I’m getting ahead of myself again. Let me illustrate my point by breaking down this weeks NXT. The show begins with the incomparable Paul Heyman coming out and addressing the crowd. Heyman says that he is amazed by the fans always chanting ECW, when they see him. But he doesn’t want to live in the past putting over the talent in the NXT locker room. He continues to say that there is the possible next Brock Lesnar (keep that in mind for later), the next Paul Heyman guy or even the next Paul Heyman. Then he brings out Intercontinental Champion Curtis Axel and says he would defend the title if they thought any man in Florida could beat him. Out comes the returning Big E Langston (otherwise known as Choc Lesnar on Twitter), who says that he thinks he can beat The Intercontinental Champion. Langston makes his way to the ring, Axel backs off saying that they can do it for Thanksgiving or on the holidays. Langston calls his bluff saying that he cannot hang in NXT leading to a match between the two for the Intercontinental title. The problem I have with this is twofold really. Why did this spot have to go to Langston, who is already on the main roster? Secondly, how does this establish Axel in a stronger position by saying he can’t hang in NXT? They laid out the segment as they would in the territories back in the day with the “local guy” (Langston) getting the better of the visiting champion (Curtis Axel). This was normally used to get over local talent as big stars when the champion was not around. However, doing it with established guys on the main roster doesn’t make any sense. I would put over younger talent to get them over to the Full Sail crowd. Instead they go with the cheap pop as Heyman stops Langston momentum hitting him with the IC title belt causing a DQ (doesn’t have the same thing as the phone) leading to Paul exiting and Big E hitting the Big Ending and the 5 count. Not saying it was a bad match. It just didn’t do much for either guy in the grand scheme of things. And shows what level the IC title is seen as. No matter how much hype you put behind it. Heyman was great though as always in his segment. Paul’s reactions are priceless. We go backstage with Ren Young with Sami Zayn. Ren asked him about Bo Dallas’s comments last week as well as Cesaro and Zeb. Sami says Bo Dallas is not really his concern at the moment he addresses Colter and Antonio saying that he doesn’t hide who he is. Sami talks about defeating Antonio in his debut. He asked for a rematch a month ago and hasn’t heard anything. Zayn then challenges Cesaro to a 2 out of 3 falls match and he waits for his response. They show a video package of last week’s dance contest detailing that Summer Rae will get the title shot that was that for Emma later on tonight against NXT Women’s Champion Paige. We come back from commercial and we see Sylvester LeFort come out to introduce his charge a very hairy chested Scott Dawson in a match with the Wizard of Wales Mason Ryan. LeFort says you have to spend money to make money which is funny because Scott Dawson has not won a match in about 2 months on television. This match was nothing special as in the beginning, the Certified Gees (Colin Cassidy and Enzo Amore) come down to ringside causing distraction allowing Dawson get a short advantage before falling prey to the cobra clutch slam and getting another loss at the hands of Ryan. The question is where do you go from here? You have established Ryan as a monster, now what do you do with him? He’s bested everyone he’s gotten in the ring with, what’s your next move? Next up, we have a very physical match between Page versus Summer Rae for the NXT Women’s Championship. This match was perhaps the perfect way of how you make a championship matter in this day and age. These two women are showing that have a great little rivalry going on. Summer has really learned how to utilize her longer frame, while the champ goes for her family’s trademark physical style. This is perhaps one of the better women’s matches in quite some time. One aspect I really enjoyed was the fact that they learned from previous contest and used real ring psychology to make a pretty entertaining, albeit a short encounter. The anti-diva (which I thought was a thing in the past… I thought it was the diva of tomorrow) got the win with the Paige Turner, which didn’t look that impressive. The champ then celebrated around the ring with her title. This is what am talking about when it comes to making a new talent for the main roster. If you have Bayley give AJ a competitive showing next week that raises her profile if you ever decide to bring her up to the main roster. I have no doubt that that will be a great match next week. We hear that AJ’s former flame Dolph Zigler will be in the house next week as well. Back in the arena, William Regal and Tony Dawson at the announce desk that Emma attacked Summer Rae after her match. There obviously setting up a match between the two. We close the night with Ren Young talking with Antonio who accepts the challenge for the 2 out of 3 falls match. And then begins running down Sami Zayn. Zayn comes out of nowhere attacking Antonio leaving him laying. Cesaro gets up and then does his best Capt. Kirk impression from the Wrath of Khan and screams Zayn into the camera as they fade to black. I’ve heard nothing but good things about that 2 out of 3 falls encounter and AJ versus Bailey should be interesting. So we have a lot to look forward to. 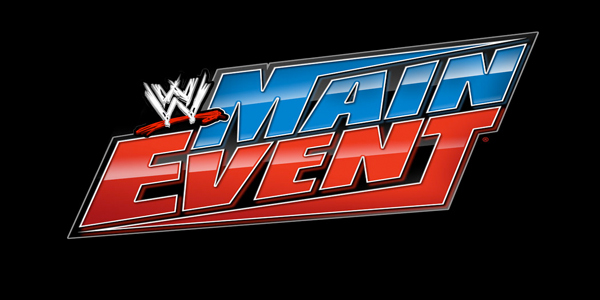 I’ll be honest, Main Event did really not have much to with this week. Sure we had some great video packages, especially ones involving CM Punk and Paul Heyman that you should definitely check out. But other than a solid match between Cody Rhodes and ADR. There wasn’t really much to it as the Usos beat 3MB and Langston with AJ beat Justin Gabriel. My question is why put Cody Rhodes in that position to face ADR? Given it was a competitive match, but seeing the seemingly pushed Rhodes lose on television considering he has a match in a few days on pay-per-view. It felt like step down for Rhodes. It would’ve been different if there were shenanigans with Damien Sandow causing some sort of disturbance leading to Alberto getting this submission. But it was a clean when for the heel Del Rio. WWE has to watch these booking situations. There are many guys you could’ve put in that situation. Doing it the way they did just didn’t feel right to me. It just seems like careless booking. Why should you put any faith in Cody for anything? Especially since Damien lost on Monday. What’s the point? All that said, it wasn’t a bad two hours of WWE programming. I’m anxious to see NXT next week. Until then. The post WWE Main Event And NXT Review: The Champ Is Here, But Does Anybody Care? appeared first on WhatCulture!.